1 - M2 C, + 2 Bowring Foot Pedals are in. 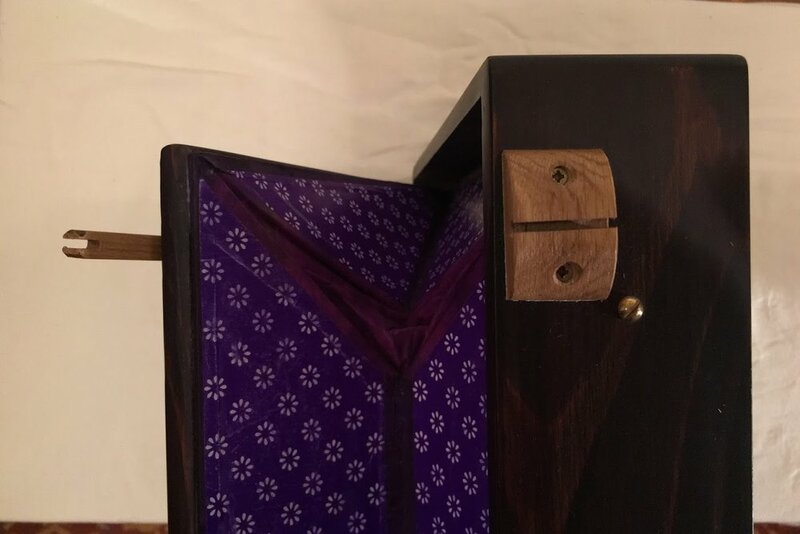 The best Shruti Boxes on the Planet! 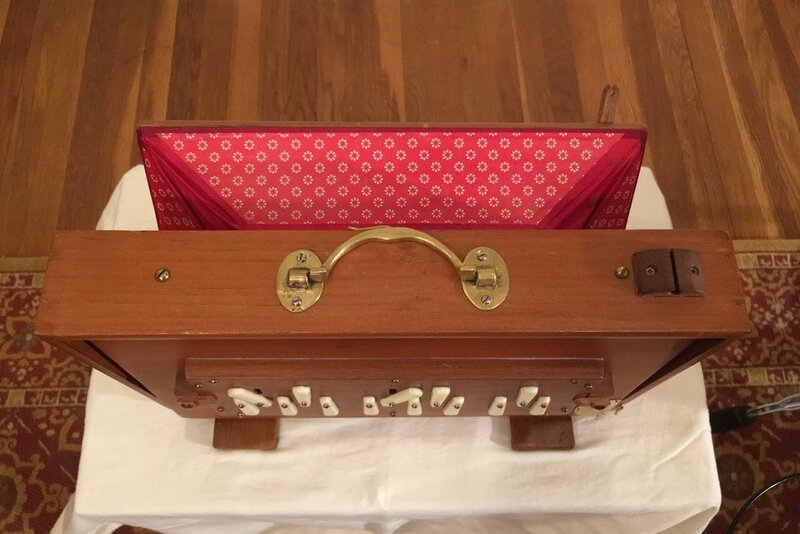 The Shruti Box is a simple hand-pumped reed instrument which provides a rich drone background or slightly pulsating constant chord to support singing and musical exploration on any instrument. They are constructed in India, with strict specifications. The craftsmanship on these instruments are of the highest quality! The reeds are made by some of India's leading manufacturers. They are designed by Stefan Cartwright in Wales, UK. When he receives them from India, each instrument is repeatedly tuned, fine tuned and each reed is voiced before shipping. This process effectively sets the pitch so the tuning is fixed and should be stable for years of use. These instruments are chromatic with a full octave of notes (13 notes), tuned to the western classical instrument standards (A=440Hz). in chromatic half steps. The M1 is a versatile instrument: it is used as an accompaniment for singing practice, group chanting and toning; in performance for musical improvisation; as a background for storytelling; as a reference pitch for tuning instruments; and to add interesting textures to a musical composition. The simplicity of the instrument lends itself to working with children: the reed board layout makes it easy to demonstrate musical basics such as notes and chords, the octave and harmony. The Shruti reed board is set up like a standard western octave chromatic scale. If you're looking at a keyboard, the white notes would be on the bottom and the black notes (sharps & flats) on top. The M3 was developed to work seamlessly with the Bowring foot pedal, with the gigging musician in mind. The result, a larger instrument than our standard M1, with enhanced air capacity and wooden swivel feet which provide extra stability and sound insulation between instrument and floor. The M3 is a delight to play by hand or foot, offering long sustain, a smooth action when pedaling and fine control of volume – from quiet to loud. Built from reclaimed Burmese teak, a hard and durable tonewood, the M3 produces a warm, tight and rich drone with clear harmonics. This enables the player to project a sound which is audible within the mix. The M3 provides a great sounding accompaniment for the guitar, hand-pan, flute, violin, voice and other instruments. Available in 2 keys, C and Low G.
it is best to speak with US distributor, Ron Kravitz by phone at 215 233 0777. He can also be contacted at ron@musicInthemoment.com or please provide a phone number in the U.S. for him to call you back. 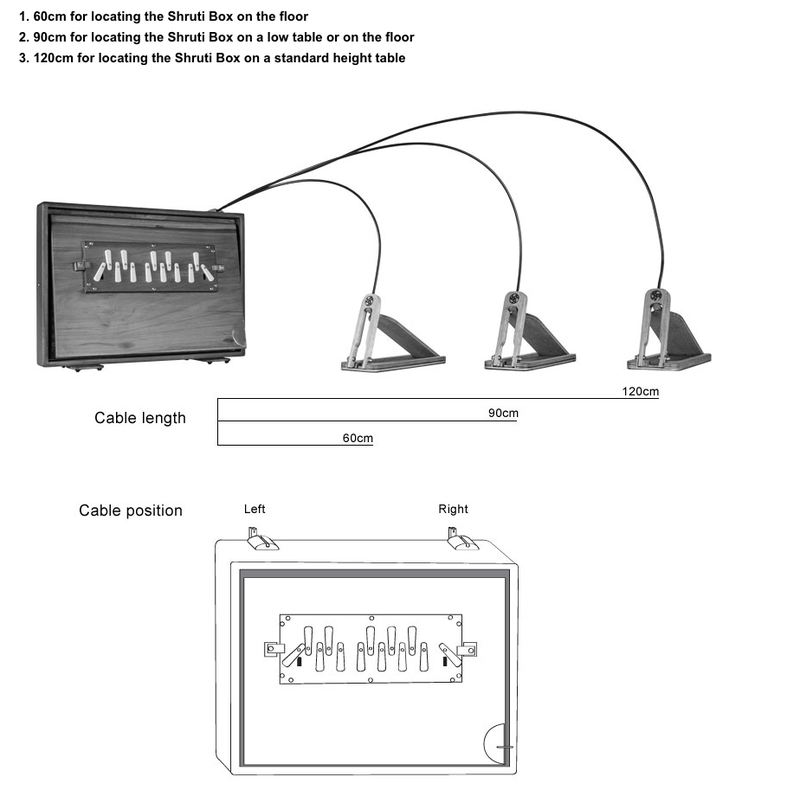 The Bowring foot pedal offers the perfect solution for hands-free playing of our Shruti Boxes, opening up new musical possibilities for string, wind, handpan and percussion instrument players. 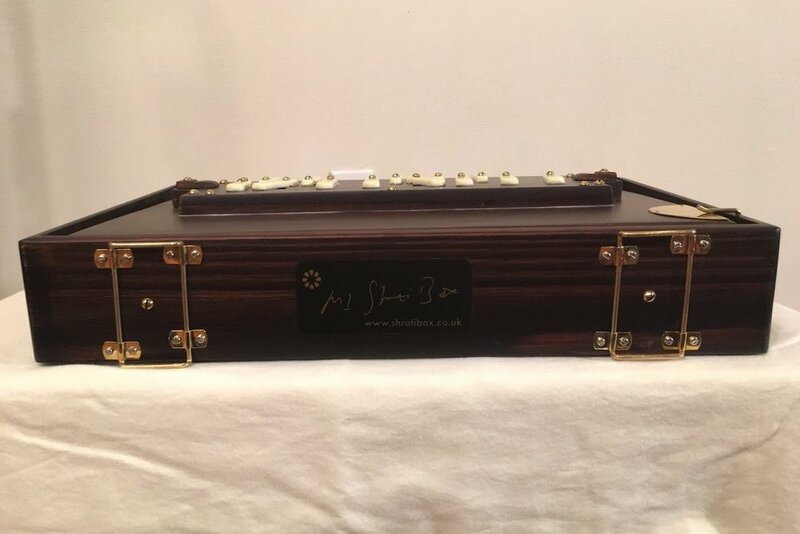 Invented in 2012 by engineer and musical instrument maker Richard Bowring, and co-developed with our input, this precision accessory has proved to be a practical and reliable match for our Shruti Boxes. It is easy and satisfying to play, with smooth control of loudness and sustain.